Witness all the hard knocks at ONE: Dynasty of Heroes, a mixed martial arts (MMA) battle at the Singapore Indoor Stadium. This year's event shines a spotlight on two undefeated female fighters. MMA star Angela Lee squares off against Brazilian challenger Istela Nunes to defend the Women’s Atomweight World Champion title. 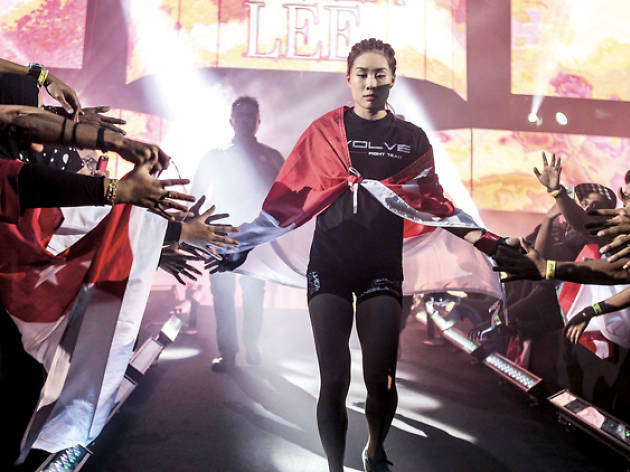 Lee captured the title from Japanese fighter Mei Yamaguchi last year, and has since successfully defended her title against Taiwanese martial artist Jenny Huang in Bangkok – solidifying Lee’s spot as one of the most unstoppable athletes in women’s MMA.